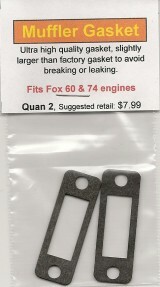 Simply the BEST RC engine muffler gaskets around! 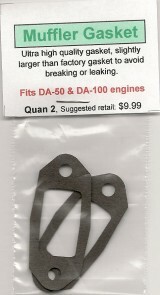 Over 800 styles of gaskets to choose from covering over 650 engines. 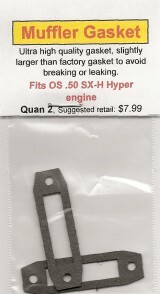 Here are just a few samples below. 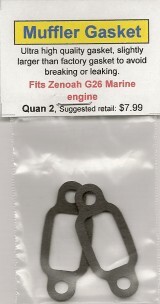 Select the image to see all of them plus many other hobby goodies including carb, crankcase, & cylinder head gaskets and our exclusive line of wood products & kits. 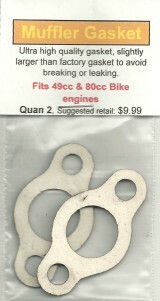 Select this image to see our complete gasket price list. Select this image to see the YouTube videos we have posted. PayPalMake fast, easy, and secure payments for your purchases! We LOVE this wonderful hobby and hope everyone can have as much fun as us!